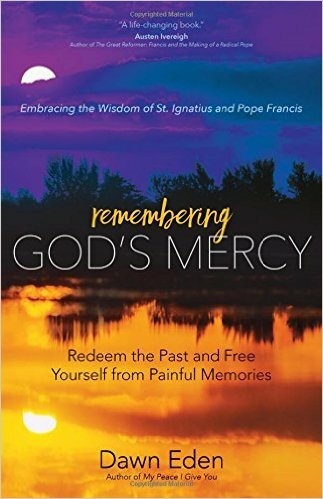 Remembering God’s Mercy is one of those rare books that combines personal testimony, theological insight, sound psychology, and prayerfulness all-in-one. Along with reading, I used this book for meditation for a week or two. It’s an amazing book that has to be comprehended as by whole chapters and not by lines. When I read a book, I often look for “pull quotes” I can use in preaching or post online, and despite being excellent, this book doesn’t specialize in that. Instead there’s a reflection over the course of four or five pages that awakens you to some new light but that light can’t be summarized in one line. Dawn is a former reporter for several rock and roll publications and, obviously, a convert. She has suffered immensely in her life both from others – including childhood sexual abuse – and from her own sexual liaisons; so, I think her voice is particularly good for reaching those in our society who are hurting. Doctor Eden – okay, she got her doctorate just after writing this book – had previously written a book on healing from sexual abuse but expanded this to a much wider healing in this book, focusing on healing our memories. Dawn points us to go back to our memories before we were hurt and this led me to ask when you talk what to do if someone has a disability or a pain from birth so they have no memories prior to their suffering. I hope she writes a book on that in the future. Nonetheless, her current book is helpful all who’ve suffered, even for those of us who have not suffered major trauma in our life. She begins by acknowledging the need people have both of psychological and spiritual help: “There is been a growing recognition in recent years that those of us who suffer the effect of painful memories need more than just psychological help. Therapy can help us cope, but if you’re true to break free from the grip of past pain, we need spiritual help.” (ix) Then she brings out how Pope Francis speaks of prayer as memory: “Prayer for me is always a prayer full of memory, of recollection, even the memory of my own history…” (4) Her reflections throughout the book follow up on those lines. There are other points one could touch on but those stood out to me. If you have suffered – and we all have – I would recommend this book. It helps us reflect on our own experience so that we don’t deny it but live properly once we acknowledge it.